Perhaps the most surprising title announced at last year's PlayStation Experience was Knack 2. After the lackluster reception of its predecessor, the fact that the name would ever be invoked again, much less in the context of "and here's a sequel to it," was something very few saw coming. A recent Polygon interview, though, has shed a little light on what happened, and how they've worked to make Knack 2 better in every way. Senior editor Colin Campbell went to a special event to get hands-on with Knack 2 and speak with Mark Cerny about not only the new game, but also the failings of the previous one. Some of the bigger improvements that are discussed are the changes to combat, which now includes chain attacks, dodges, and special moves, and leaning even further into the game's unique mechanics of changing Knack's size to overcome puzzles and obstacles. The full interview is absolutely worth a read. 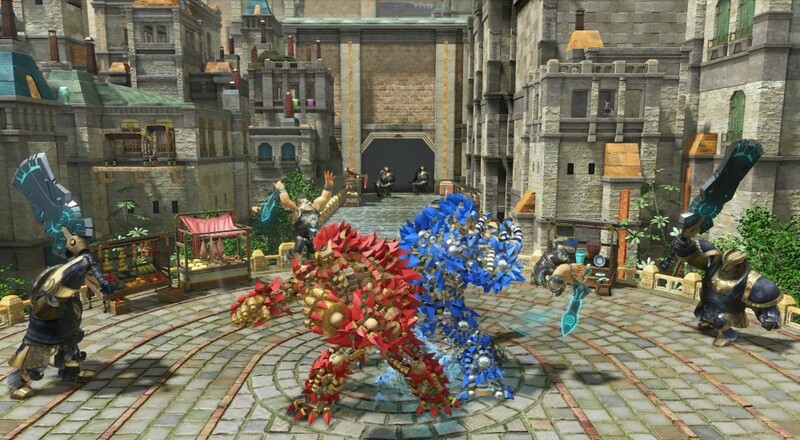 In cooperative play, Knack and partner can also team up to execute moves on one another in order to create powerful weapon attacks. This includes a deadly machine-punch and an explosion. "When we tested the game, we saw that siblings always liked hitting each other, so we decided to turn that into a weapon," says Cerny. There are also three different difficulty level to provide a challenge to players of all ages and skill levels. One example of this that was given is platforming. Harder difficult levels may challenge players to "deal with platform sections that might be too much for younger players, who are routed through the easiest sections while in easy mode." All of this points towards a better game in Knack 2 and, more importantly for us, a better co-op experience. I suppose we'll find out first-hand later this year when the game is released. Page created in 0.7552 seconds.